1 pcs Cosplay Headband. This is about Cosplay Accessory. Size: Approx. 10.2 x 3.9 cm. Otherwise, we will reserve the right to relist the item and the unpaid item report will be made correspondingly. Kunai Material: Plastic. 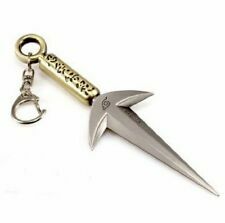 Kunai Size: Approx 13CM. Headband Material: Nylon Alloy. Headband Size: Approx 95 CM. Perfect gift for friend, family or yourself. 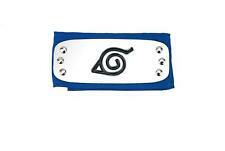 1 x Cosplay Headband. 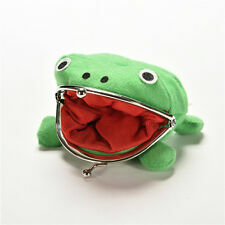 This is about Cosplay Accessory. Great For Collection and be a gift for your friends and relatives. Size: Approx. 10.2 x 3.9 cm. Material: High quality PVC. Color:As the Pictures Shown. 1 pcs Keychain. Ring Size: dia 2.7cm, Big Pendant: 3.2 x 2.3cm, Small Pendant: 3.5 x 1.4cm. Color: Silver. Blue Kakashi Hatake mask. A must-have for all fans of the popular manga series Naruto. The Kakashi Hatake mask. The mask can be worn in two ways. Either over the nose, to cover the mouth, or over one eye. 1 pcs Cosplay Headband. This is about Cosplay Accessory. Otherwise, we will reserve the right to relist the item and the unpaid item report will be made correspondingly. Size: Approx. 10.2 x 3.9 cm. Naruto Unleashed Cosplay Jacket (medium). New without tags! It’s a Chinese XXL but I would say it’s more like a UK medium. Wouldn’t suggest a cheat size over 36”-38” thanks for looking! 15cm Naruto movable Uchiha Sasuke Uzumaki Naruto action figure toy UK Seller !! Naruto patch about 8cm tall of a chibi Naruto. Unopened and in very good condition. Naruto patch about 8cm tall of a chibi Tsunade. Unopened and in very good condition. Sasuke with bird summon. Perfect little decoration! Naruto . Condition is Used. Dispatched with Royal Mail 2ndClass. In order to put an end to the Kyuubi's rampage, the leader of the village, the Fourth Hokage, sacrificed his life and sealed the monstrous beast inside the newborn Naruto. Now, Naruto is a hyperactive and knuckle-headed ninja still living in Konohagakure. 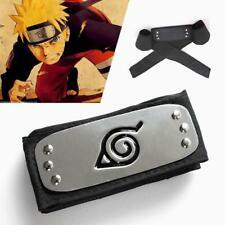 naruto cosplay set, 5 headbands and pouch with leg strap . Condition is Used. Dispatched with Royal Mail 2nd Class. Ideal collection and gift for unisex Naruto fans. - Material: PVC. Size Chart - Color: As pictures show. People always bought together with. Sasuke Uchiha Wallet Keychains. I have had the Waller for quite a while but I haven't really used it much. One is from death note, one is a guitar and the third is also from naruto. Just Funky Naruto Blue Glass This auction is for the above item which has never been used and comes in it's original box. It is in perfect mint condition and is a half point sized glass. Starting bid is just £1.99! P&P is £3.50, the item will be sent the fastest way possible for the price paid. I have lots of other items up for sale so please feel free to take a look. This is a figure of Naruto Uzumaki from the manga/anime Naruto. In it's original box, but has been out on display. Still in good condition. CHECK MY EBAY FOR MORE ANIME FIGURES. Ring tyle;zhu. material;alloy. You can follow below process to chontact us. color;shown in the picture. Import Duties. Naruto Shippuden Anime Deidara Figure. Condition is New. Dispatched with Royal Mail 2nd Class. Due to no tracking on our lower priced items, when buying this you are agreeing to the following terms: items may arrive with slight alterations, whether that be scratches/marks not seen within the pictures, slight colour variations to the pictures or missing, late or damaged items. When buying this, you are agreeing to not starting up cases in any form against this item. Please know this is purely to protect us, thank you. Naruto Anime Sasuke Itachi Uchiha Headband Protector Cosplay Collectible. Condition is Used. Dispatched with Royal Mail 2nd Class Letter. 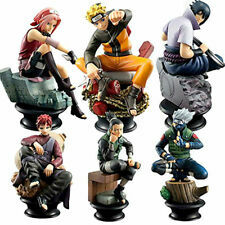 A great collectible for Naruto fans. - All products is subject to 1 month - 1 year warranty period, otherwise it will be specified in item ads. - No personal pick-up is allowed. You may also like. 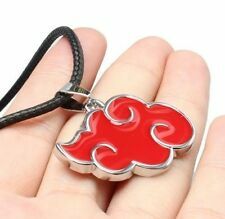 Great gift for Naruto fans. Material: PU Leather. Our products ranges from toys, jewelry, fashion bags, wigs etc. - All products is subject to 1 month - 1 year warranty period, otherwise it will be specified in item ads. All products is subject to 1 month - 1 year warranty period, otherwise it will be specified in item ads. - No personal pick-up is allowed. Item specifics. Perfect gift for kids who want to cosplay Naruto. Ideal for cosplay party. Material: Plastic. Made of plastic material, durable and lightweight. We will try our best to reduce the risk of the custom duties. Product Description 100% brand new and good quality with original box Size:17cm Package Content: 1pcs Uses:toys, decorations , collectibles , gifts. Brand: Unofficial NOTE: PLEASE ALLOW A SMALL DIFFERENCE ON SIZE (1-2CM) DUE TO MANUAL MEASUREMENT, AND A LITTLE DIFFERENCE ON COLOR. BOX MAY BE SLIGHTLY DAMAGED DURING THE DELIVERY, WHICH IS NORMAL. IF YOU NEED IT AS NEW / GIFTS / COLLECTION,PLEASE INFORM US AND WE WILL HELP YOU PACK WITH SOME PROTECTION BOX BUT ADDITIONAL POSTAGE COST 5-10GBP If any question, please feel free to contact us via "Ask seller a question" , We will reply your email within 24 working hours. Great for as a gift or collection. Our products ranges from toys, jewelry, fashion bags, wigs etc. Material: PVC. You may also like. 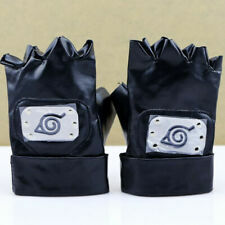 Great item for Naruto fans. Accessories: Mask. Shown Color: Black(Close to Blue). - All products is subject to 1 month - 1 year warranty period, otherwise it will be specified in item ads. - No personal pick-up is allowed. 1 pcs Cosplay Headband. This is about Cosplay Accessory. Size: Approx. 10.2 x 3.9 cm. The images are for reference only. Great For Collection and be a gift for your friends and relatives.